Our concert for the Stroke and Arthritis Club is an annual event. This year it marked a significant date. 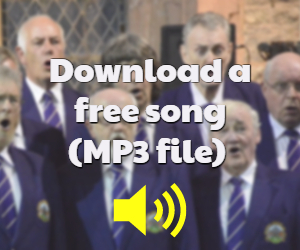 It coincided with the welcome return of founder choir member Gareth Roberts. 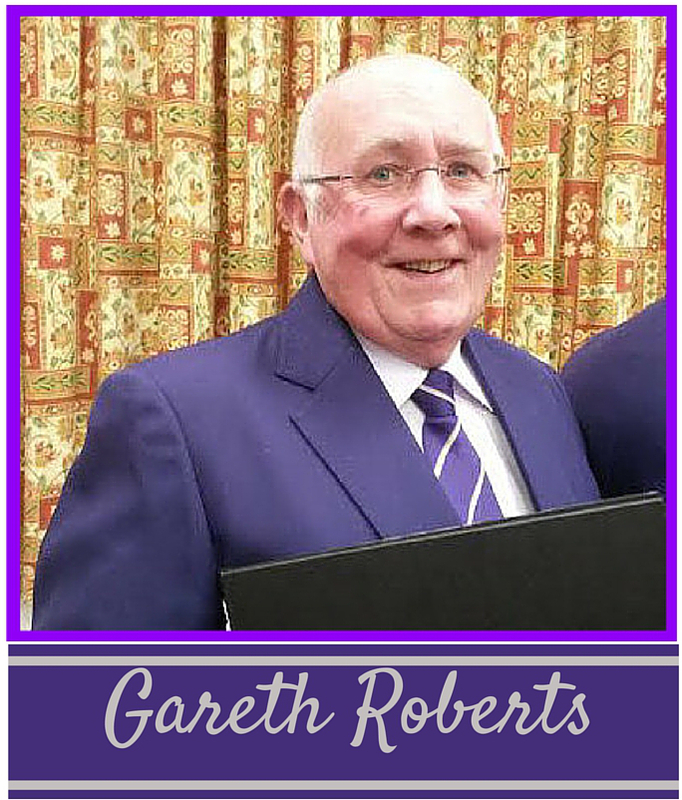 “During 1988 Gareth Roberts spent weeks trying to persuade men to form a male voice choir in Denbigh. He had managed to secure the services of Mrs Phyllis Dryhurst-Dodd. She had recently returned to her home town of Denbigh. She agreed to become the Musical Director. The first meeting and practice took place in Capel Mawr school room on October 10, 1988. It attracted a motley bunch of 17 men. Others with just a little experience. Going back many years to school days or the church choir. Others were complete novices. This set the pattern for the composition of the choir to the present day. Modern times means that there are always so many demands on our precious time. Gareth is no exception. The founder choir member has many interests but he had avowed that, when time would allow, he would one day return to the choir. Twelve months ago, the choir celebrated its 25th Anniversary Gala concert. It took place at St Asaph Cathedral. Gareth was part of an appreciative audience that evening. The founder choir member must have experienced a deep sense of satisfaction. There was time to reflect on twenty five successful and happy years for the choir. True to his word, he finally came back some months ago. It was a rousing welcome he received on his return. He has since attended choir practice on a frequent basis. He is now becoming familiar with the current repertoire. But in Gareth’s case, it always seemed appropriate. The choir uniform has changed but some original members remain. It is only natural for him to be comfortable wearing the choir uniform once again.